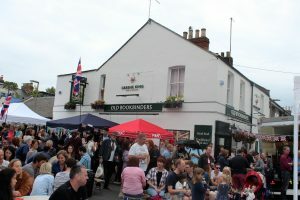 An unrivalled ‘unique’ pastime – the ‘British Pub’. 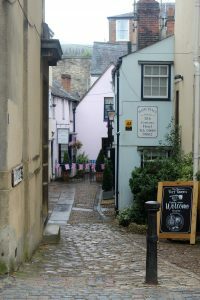 Why not try Oxfordbnb’s local selection of Pubs – A mixture of traditional, atmospheric, quaint, historic, & just simply enjoyable places to relax, have a drink, & enjoy a meal (at a ‘reasonable’ price). All can get very busy so always wise to book if you plan to have a meal. 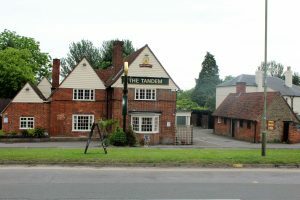 The Tandem, Kennington – our local pub. Not gastro, but great value & within 5 minutes’ walk of the ‘B&B’. 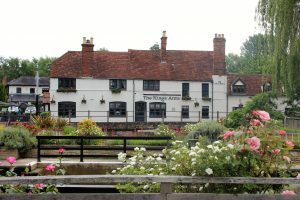 King’s Arms (Chef & Brewer) – Sandford Lock, on the Thames. River setting next to the lock, very pleasant; 5 minutes by car, or 20 minutes on foot from the ‘B&B’. Isis Farmhouse – near Iffley Lock, on the Thames. River setting near the lock; 15 minutes by car (via Iffley Village – very pretty) & a short walk, or 20 minutes on foot from the ‘B&B’. 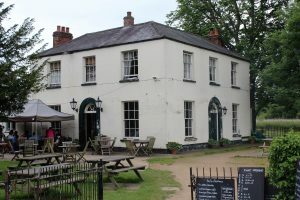 Famous for not being accessible by car, only by foot or boat; and as a consequence has strange opening times, a typically quirky British Pub. 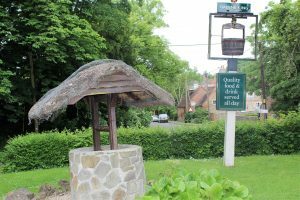 The Flowing Well – Sunningwell, nestled in unspoilt countryside. Country setting in a pretty village; 15 minutes by car from the ‘B&B’, passing through Bagley Wood on the way, perhaps have a stroll, its only had two owners since 995 (shame about the A34)! The British Tapas is worth a try. The King’s Arms – Broad Street, Oxford. 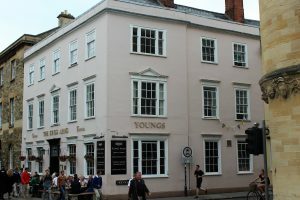 The oldest pub in Oxford (1607), in its original position. 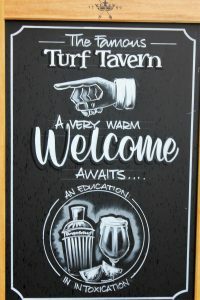 Frequented by many an Oxford scholar. 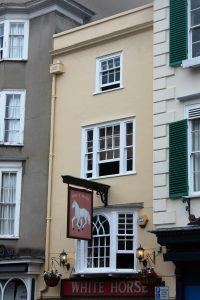 The White Horse – Broad Street, Oxford. A must visit for Morse, Lewis & Endeavour fans! The Turf Tavern – Bath Place, Oxford. “An institution for locals, city dwellers, shoppers and tourists alike.” A traditional British pub. 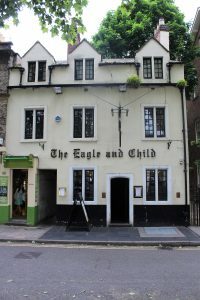 The Eagle & Child – St Giles’ Street, Oxford. Frequented in days passed by the Inklings writers’ group including J.R.R. Tolkien & C.S. Lewis, so lookout for Hobbits & a Lion! 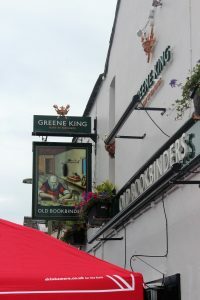 The Old Bookbinders Ale House – Victor Street, Jericho, Oxford. 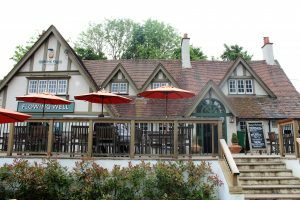 A British pub with a French menu! 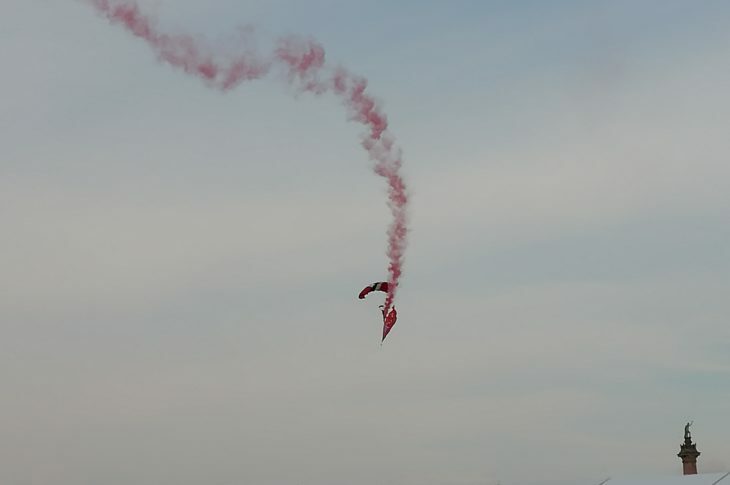 They describe themselves as quirky – they are right! Don’t take the car as it is almost impossible to park. « Stratford-upon-Avon – 400 years on from the death of Shakespeare.